FORGET SUPERGIRL AND WONDER WOMAN. TO SEE A REAL FEMALE SUPERHERO IN ACTION, CHECK OUT PAULA EISELT'S DOCUMENTARY. BOTH SURPRISING AND DEEPLY SATISFYING. [EISELT] BRINGS AN INSTINCTIVE YET CLEAR-EYED SYMPATHY FOR THESE WOMEN'S REMARKABLE STORY. THE UPSHOT IS HEARTENING, EVEN INSPIRING. 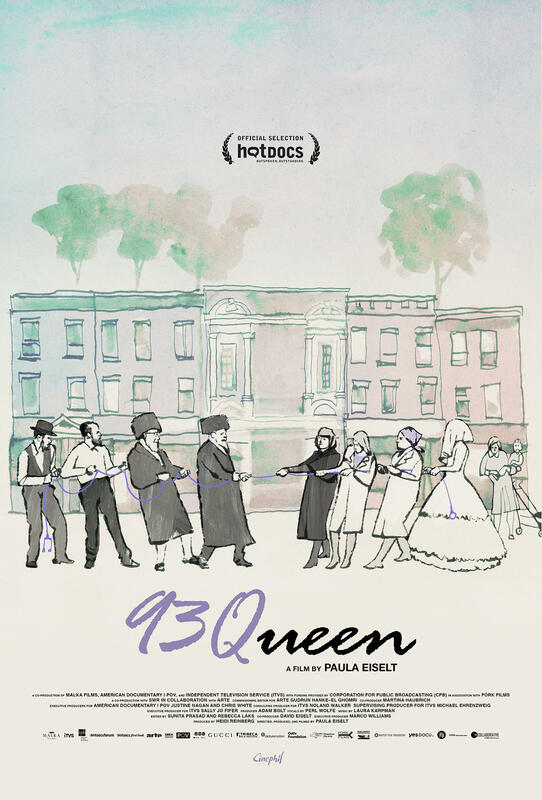 On the heels of a highly successful national theatrical rollout in 25+ cities, please join us for a special intimate screening of 93Queen hosted by Judith Helfand and Gini Reticker on Wednesday, October 17 at 7:00p at the Park Avenue Screening room followed by a Q+A with Judge Ruchie Freier and director Paula Eiselt. Please RSVP to save your seat. A co-production of American Documentary | POV and ITVS.